A selection of hand-woven rugs awaiting your visit at our Rug Gallery! 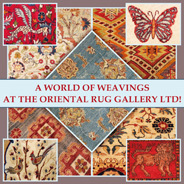 Welcome to Surrey's award-winning The Oriental Rug Gallery Ltd – a soley independent company of Rug Specialists establised in Wey Hill, Haslemere, in 2007. As a quintessential British company, The Oriental Rug Gallery Ltd is dedicated to selling the very best in hand-woven rug craftsmanship and passionate in conserving your rugs and tapestries, using our years of Master Rug Craftsman knowledge, skills and expertise, to preserve decorative heritage and traditional woven crafts. HUNDREDS OF BEAUTIFUL HAND-WOVEN RUGS, ORIENTAL RUGS AND TAPESTRIES! DISCOVER a fabulous array of hundreds of uniquely stylish and decorative rugs, oriental carpets, kilims and tapestries, in all shapes and sizes and colourways, awaiting to enhance your home and interiors. Offering a wide choice at best value, all our beautiful pieces are available to purchase in the Rug Gallery shop, or on our easy-to-use website with Paypal. EXPLORE a treasure trove of hand-woven Rug Masterpieces, overflowing with Persian, Turkish,Caucasian and Turkmen decorative designs, sumptuous silks, traditional-with-a-twist rugs, colourful kilims, alluring antique weaves, resplendent runners, elegant aubussons and fascinating sumaks, captivating tribal trappings and rugs, as well as silk-embroidered and wool-weave scatter cushions – all ideal for living-room and dining-room interiors, hallways, bedrooms, boudoirs and snugs and all at unbeatable value. 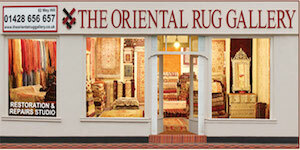 We offer Free Delivery nationwide, for any rug purchased from our website! CHOOSE an authentic, fine quality hand-woven Rug Masterpiece from a wide variety of hundreds of weavings in stock. Each finely-crafted piece is traditionally hand-made by craftsmen weavers, using silky-soft yarns in natural dyes. Our highly sought-after rug weavings’ practicality, durability and good quality are guaranteed, so our customers in Surrey, London, Berkshire, West Sussex, Hampshire and East Sussex districts, Europe- and world-wide can choose and purchase in confidence. Whether you are an interested individual, an interior designer, a private collector or commercial business, please contact us with your requirements and we will be happy to help you select the piece that is perfect for you! Meanwhile, please see our Rug Viewing Service guidelines and browse our stunning Rugs and Carpets Gallery. 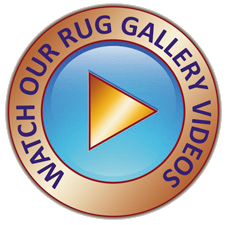 Our integrity and commitment to our customers' care ensure that you will receive the best quality items and professional rug services that we can offer at competitive and fair prices. We are proud of our high standards of rug services craftsmanship, where our customers can be confident that they are entrusting this exacting work to a company of friendly, reliable and experienced rug specialists. We undertake a full range of expert Repairs, Restoration and Bespoke Alteration Services. Our professional deep-wash RugRescue Cleaning System and Stain Corrective Treatment works and services are undertaken for all types of damaged, stained or dust-worn rugs, oriental rugs and carpets, kilims and textiles. 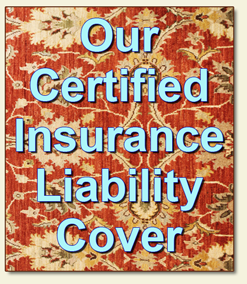 We aslo provide professional, certified and insurance-approved Written Valuations, a specially devised Rug and Textile Wall Hanging Techniqueand Anti-slip Rug Underlay, as well as customer Collection and Return Delivery Services. 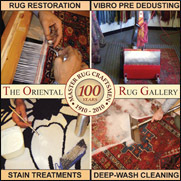 All our works and services are undertaken in The Oriental Rug Gallery Ltd's custom-built Repairs & Restoration, Alteration and Cleaning Studios – so come and experience the amazing results for yourself!. Catch up with all our latest news and views detailed in a range of illustrated articles. Here, we share our rug passions and specialist rug skills and knowledge with our viewers, with tips on how to enjoy hand-woven pieces of crafted artistry, as well as highlighting The Oriental Rug Gallery Ltd's participation, support and active involvement with rug-realated and community-based events and projects. 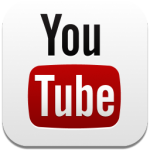 You can read all the current articles by visiting our G-Blog web page. THE UK'S FIRST-EVER HAND-WOVEN COAT OF ARMS RUG WEAVING! 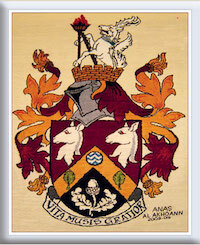 Inspired by the Haslemere Coat of Arms' Motto: Vita Musis Gratior – 'Life Is More Satisfying Through The Muses Or Arts', Anas – The Oriental Rug Gallery Ltd's Rug Specialist, Rug Dealer and Master Rug Craftsman and Sandre, The Oriental Rug Gallery Ltd's award-winning Decorative Woven Arts Creative, hand-wove the Haslemere Coat of Arms to celebrate the 100-year centenary of their family rug business, since 1910. The completed Weaving was gifted to Haslemere Town and its community, where more than 1,600 people from around the world visited The Oriental Rug Gallery Ltd in Wey Hill, Haslemere, to participate by weaving their own rug knots into the piece. Now on permanent display at Haslemere Educational Museum, the Weaving is the UK's first-ever Coat of Arms to be hand-woven in Wool and Silk on a tradtional rug-weaving loom, by a Master Rug Craftsman.You can read all about 'the Weaving's Journey of 800,000 Rug Knots' on its dedicated web page: The Coat of Arms Rug Weaving. WEAVING DIAMOND GOLD FOR HER MAJESTY THE QUEEN! To celebrate Her Majesty The Queen's 60 years reign and the Royal Diamond Jubilee commemorations in 2012, Anas and Sandre designed, commissioned and helped to create a unique, bespoke embroidery as 'A Gift for The Queen'. This decorative embroidery measures1270 x 970mm, and took 13 months to craft from conception to completion, using only the finest quality hand-spun gold, silk and cotton threads, meticulously embroidered onto Damask plain-weave linen. The Diamond Jubilee Embroidery is now on permanent display at Haslemere Town Hall, where Anas and Sandre received a Royal Letter of Thanks from Her Majesty Queen Elizabeth II, expressing her delight and interest in the embroidery's creation. 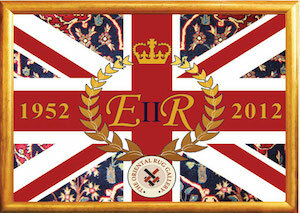 You can read all about Her Majesty the Queen's Diamond Jubilee Embroidery, its crafted creation and the proudly-received Queen's Letter on its dedicated web page: HM the Queen's Diamond Jubilee Embroidery.